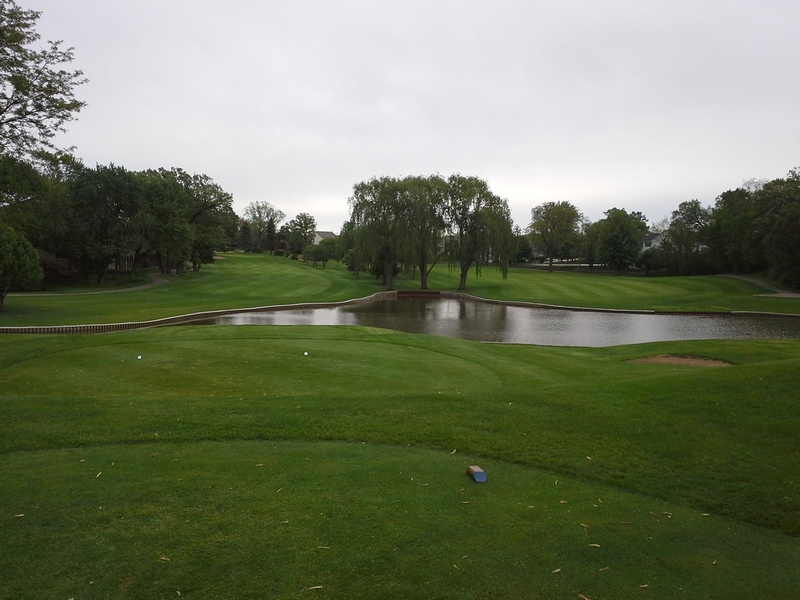 The first picture was taken on 6/13/15 and shows the 18th fairway at Hilldale. This was after 3.5″ of rain had fallen during the previous three days. The second picture was taken this morning (6/24/15). 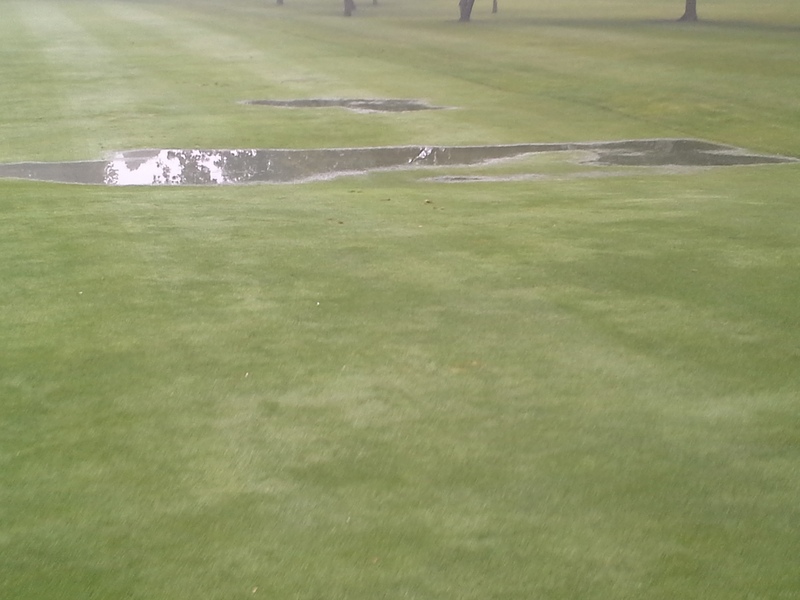 I’m very pleased with course conditions considering the high rain totals (6.5″) so far in June. Accuweather is forecasting more rain this evening, but we’re hoping this system stays south of Hilldale GC. Carts are allowed to use the 90 degree rule which is our standard policy. Obviously this could change in a hurry with additional rain tonight…we’ll keep you updated as conditions change. Hilldale’s greens are due for a “light” topdressing of sand which we like to apply prior to rain. This will move sand down into the turf canopy; thus causing no inconvenience to golfers. The smooth surface it creates along with turfgrass health benefits are the primary goals when applying sand to greens. The Hilldale Men’s Club has their annual Guest day this weekend and it appears that we’re in store for good (dry) weather…knock on wood! Good luck to everyone and I hope you enjoy the golf course. This entry was posted on Wednesday, June 24th, 2015 at 5:54 pm and is filed under Uncategorized. You can follow any responses to this entry through the RSS 2.0 feed. You can leave a response, or trackback from your own site. topic. You realize so much its almost hard to argue with you (not that I really would want to…HaHa).